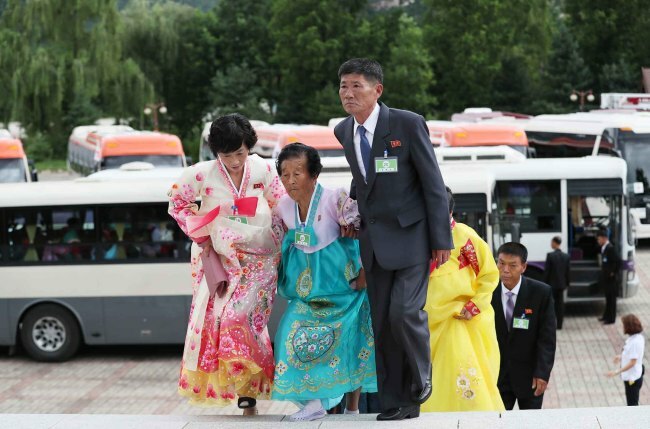 As the second day of family reunions began, five buses filled with North Koreans arrived in front of Oekumgang Hotel, where their relatives from South Korea are staying, at 9:55 a.m. Tuesday. 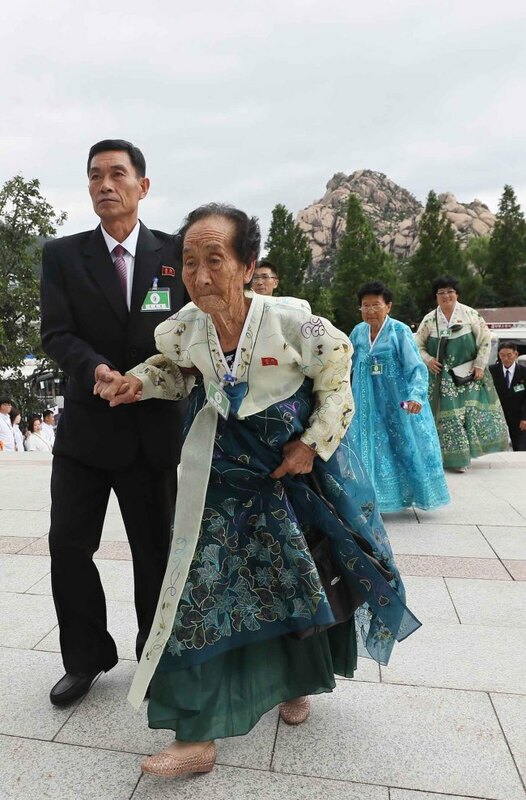 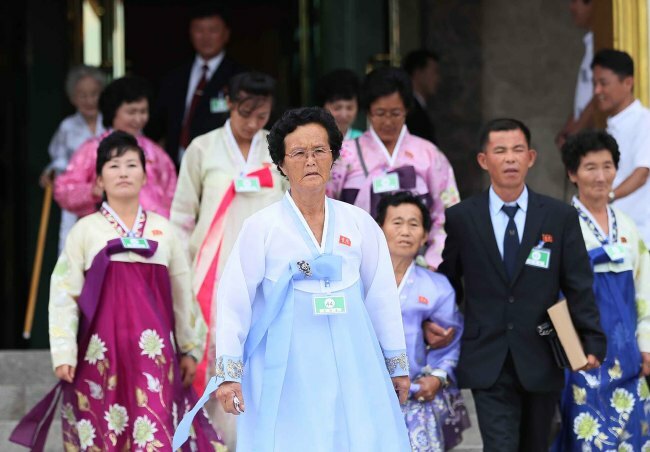 Dressed in colorful “hanbok,” or Korean traditional dress, many North Korean women had to be helped by volunteers so as not to trip on the long hemlines. 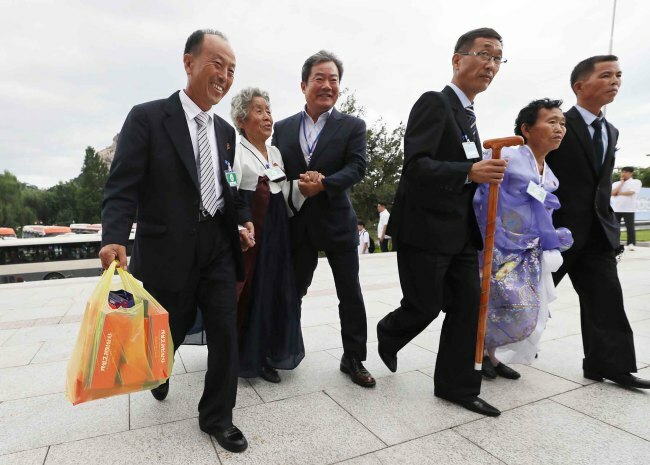 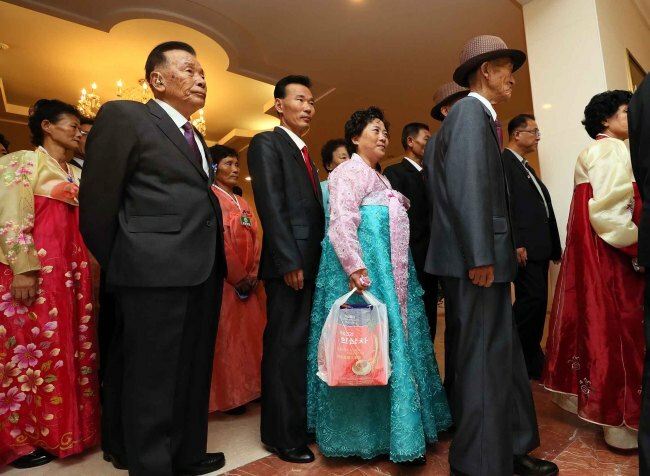 North Koreans were also seen carrying presents to give to their long-lost relatives, ranging from the North’s well-known “Kaesong Koryo insam,” or ginseng, to cosmetic products made from the ingredient. 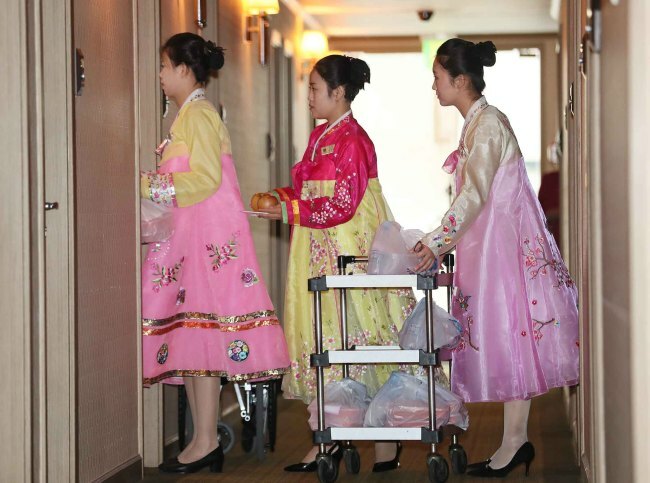 The reunited families spent about two hours in their separate hotel rooms and enjoyed a one-hour lunch break. 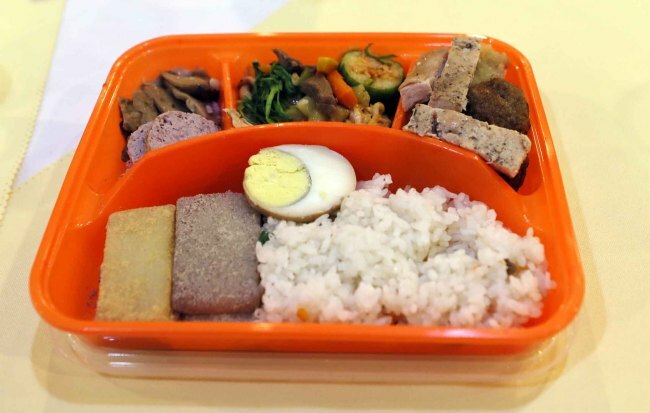 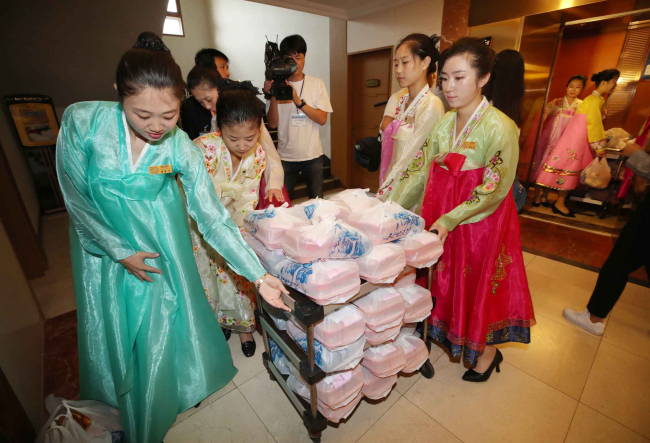 Lunch boxes prepared by the North’s side were delivered to each of the hotel rooms around 11:40 a.m. 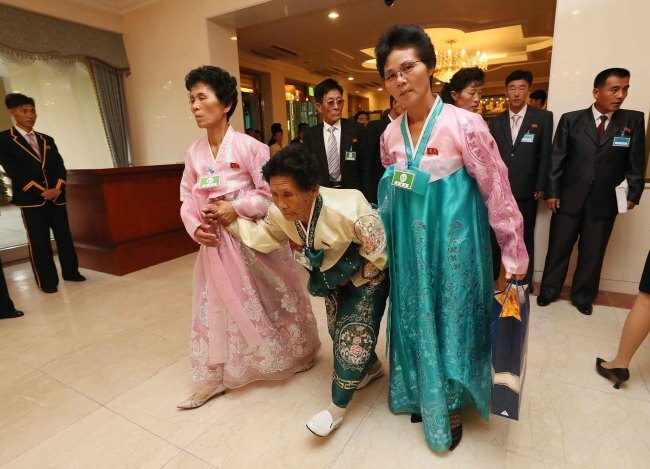 This marks the first time in the history of family reunions that the families got to eat together.